How to install Photo Gallery PHP. Set up MySQL database. 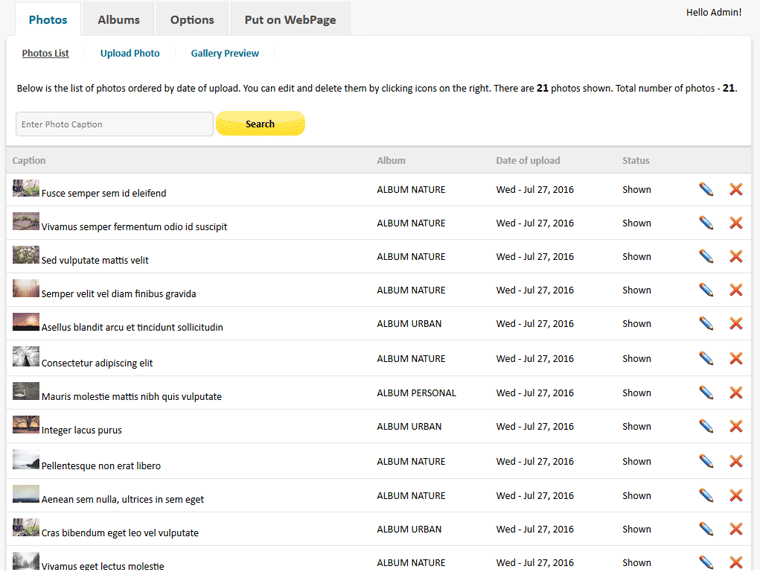 How to use Photo Gallery PHP. How to put Photo Gallery PHP on your WebPage. 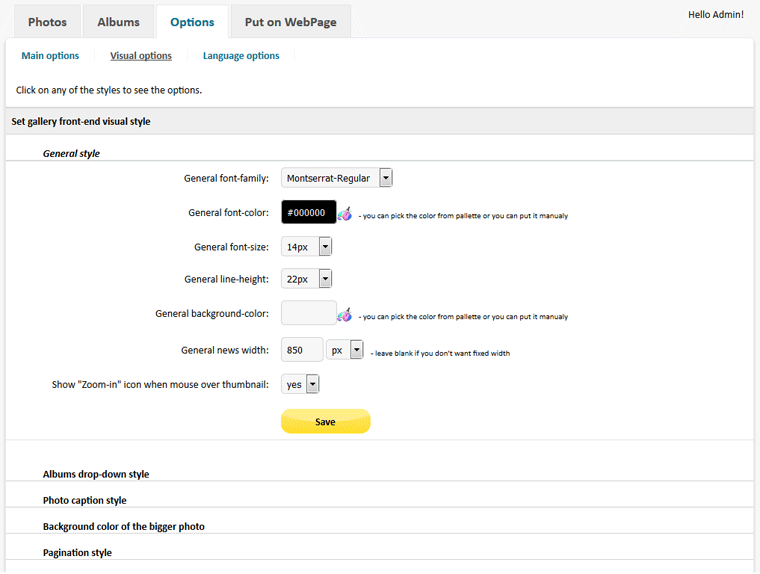 Set Options, CSS style and Language(wordings). How to install Photo Gallery PHP? Photo Gallery PHP requires PHP 5.3 or higher version and MySQL 5.0 or higher version to run on your server - you can see the current version of PHP and MySQL in the control panel of your website. How to use Photo Gallery PHP? Browse for the photo you want to add to the gallery, add a caption to the photo for your memories if you wish. Then click on "Upload" button. 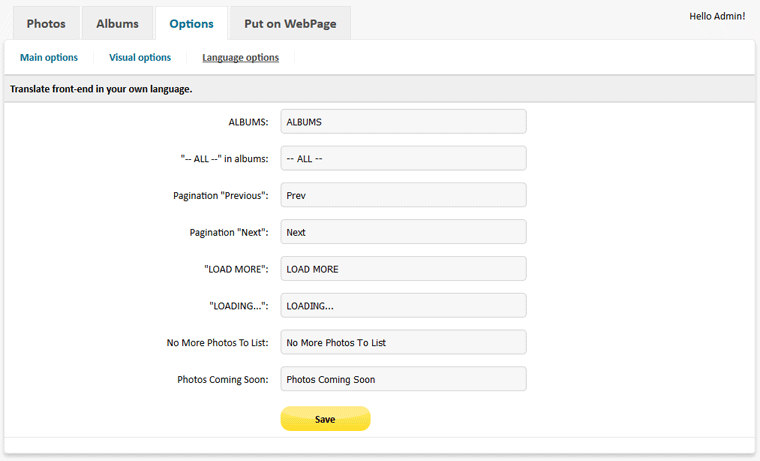 Here you may set the maximum width of the uploaded photos, the type of "go through" the photos - using LoadMore button or Pagination. And also you may choose how many photo thumbnails to be shown at a time. Here you may change colors, fonts, sizes, width, and other visual settings of all the front-end elements. You may change any word in your own language. Note that photo gallery is working in UTF-8 charset. How to put Photo Gallery PHP on your WebPage?